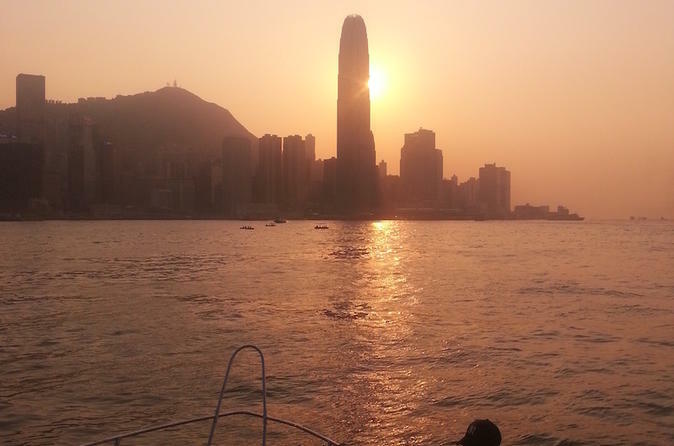 Escape the crowds on land and get the best views of Victoria Harbour from the water during a sunset cruise that reveals the area at its most magical. As you enjoy free-flowing Prosecco and snacks, you'll watch the harbor transition from day to night, and listen to commentary that explains more about the culture and history of Hong Kong. Plus, you can upgrade to an evening cruise to watch the Symphony of Lights show.